Christmas pound frame with green pain branches and red berries. Watercolor hand drawn illustration. 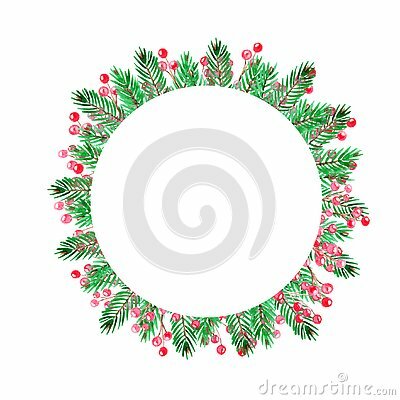 Green christmas wreath isolated on white background. Lovely Green Christmas Tree Sprigs. White Background. No Text. Golden frame with lights effects,Shining luxury banner vector illustration.